Dali Painting, or a Tornado in Japan? 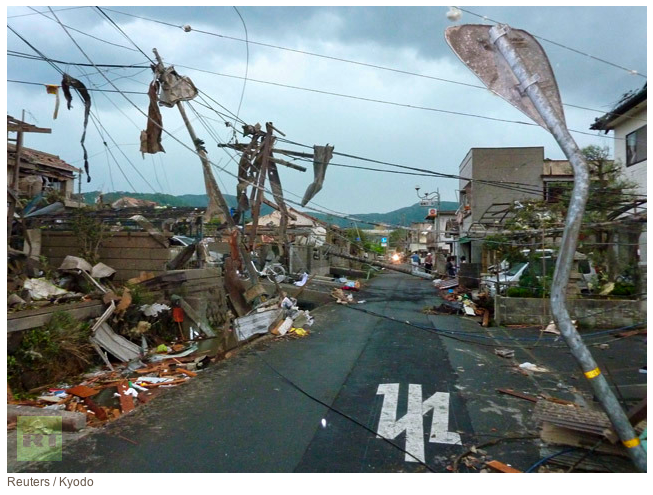 This Image of the damage left by a Japan Tornado looks like a surreal Dali Painting, if only it were so. Click for a video link of the tornado. I'm assuming because of the many high rise buildings in certain parts of Japan, when a naturaly catastrophe hits the potential for heart wrenching imagery is just a click away. Happy Valentines Da....Dog bites friendly news anchor. 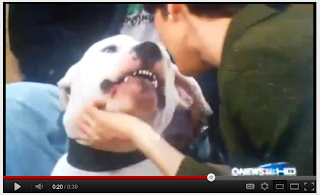 Image of dog baring fangs just moments before snapping at the friendly tv anchor. TV Anchor was in the middle of saying Happy Valentines day when the dog snap bit her. Thankfully, it was not a mauling. It was just a quick snap. By not showing the video, it conjures up images of a blood bath. The Dog snapped at the news anchor. Seeing the video is actually very educational, perhaps it prevents future dog bites. Why is this video being squashed by the copyright owners? Is the Occupy message missing the mark? Debt forgiveness is a complex subject. Many times the interest charged on a loan can end up being being for more money than the original loan amount itself. So when Occupy Protestors demand debt forgiveness, they are actually asking for both principle and interest rate charges. The logical, middle ground would be to demand that consumers have the right to restructure existing debt without having to default first. It's really that simple. Presently, student loans, home mortgages, and credit card debts must be defaulted before they can be restructured. However, the default usually makes matters worse, not only for the present debt, but for future loans as well. Even getting a job can be affected if one has a default against them. It is naive to expect debt forgiveness that forgives both the principle and the interest rate charges, it is reasonable to demand that restructuring a debt should not require a default first. An Editorial from the biggest Chicago Newspaper on why Barack Obama should not run in 2012. Lethal fungus adds to tornado woes in Joplin, Mo. Labels: Lethal fungus adds to tornado woes in Joplin, Mo. Are Chris Kofinis and Dave "Mudcat" Saunders part of the John Edwards Probe? Two names that I have not forgotten from the 2008 democratic presidential nomination race are Dave "Mudcat" Saunders and Chris Kofinis. Both of these hugely integrated John Edwards campaign staff members staunchly attacked Hillary Clinton during their own appearances on MSNBC and CNN. "I will do everything within my power so Edwards doesn't endorse Hillary Clinton" -Dave "Mudcat" Saunders. Not to be outdone by Saunders, Chris Kofinis denied any and all knowledge of anything to do with John Edwards and his baby daddy situation or the affair that led to Edwards fathering a child. Maybe Kofinis did not know, but Kofinis had such an integral position in the Edwards campaign that it would seem that he might have been confided in in regards to Edward's secrets. Kofinis stated on MSNBC that he had no knowledge of the Edwards affair even though he was communications director of the Edwards campaign! When do the actions of Edwards supporters spill over into an admission that Hillary Clinton was wrongly attacked by those hiding John Edward's secrets? When does a grand jury investigation take a position on the ability of a wounded political campaign to continue to take pot shots at another democratic rival in exchange for remaining on payroll even after secretly knowing their own candidate cannot win and will be resigning? Does not such a conflicted position create political pundits on a payroll using their positions to wound another candidacy simply because they have nothing else to lose but a paycheck to gain? Shouldn't the threat of jail time be an added incentive to cease and desist talking negatively about competing political rivals if their own candidate can no longer win because of their own actions? Will Kofinis and Saunders be investigated to see if they continued with political attacks against democratic rivals even after they knew their own candidate's own behavior had torpedo'd any chance of becoming the democratic presidential nominee in 2008? If Kofinis and Saunders had any knowledge of Edwards actions, and still attacked a fellow democratic rival in exchange for being on Edward's payroll, are their actions any different than what John Edwards did? Labels: Are Chris Kofinis and Dave "Mudcat" Saunders part of the John Edwards Probe? Identifying the REAL ISSUES regarding Arnold Schwarzenegger's Secret Baby Caper. Lets put to bed some of the non issues in regards to Arnold Schwarzenegger's secret baby. The woman Arnold apparently had an affair with is apparently not as pretty as Maria Shriver. Who cares! It is completely irrelevant how pretty the person Arnold allegedly had an affair with, is, or was. Other celebrities and politicians have had babies out of wedlock. The difference appears to be not only the length of time that has elapsed has been a decade or longer, it's also that Arnold got to choose when to expose the secret. Arnold waited until AFTER he served his entire 8 year term as governor, so trying to say it's like other out of wedlock situations is not really accurate. So what are some of the more germane issues? The biggest one for me is if Arnold Schwarzenegger truly kept the pregnancy and the child a secret from Maria Shriver, while also allowing the person he allegedly had the affair with to keep working within the Schwarzenegger household for the next decade, he potentially endangered Maria Shriver's life. Yes, Maria Shriver was at the mercy of a woman who could have snapped at any time over her desire for her son to have a real dad. The whole time that Shriver's rival was sizing her up in Shriver's home, Shriver didn't know there was a rivalry, and that is beyond deplorable. In my opinion it's criminal behavior on Schwarzenegger's part to allow a secret love interest to actually prepare meals for Shriver, to possibly even have access to prescriptions as well. It also shows horribly bad, and ultra narcissistic behavior on Schwarzenegger's part if he never even considered that his wife could be in danger. The second issue for me is that Arnold got to share his secret with the world on his own terms when he wasn't the only one that was affected. I think Arnold's calculating narcissism has already backfired on him. The fact that Arnold retained such control for so long might result in those who knew him, including political allies, friends, family and even fans, feeling trivialized. Labels: Identifying the REAL ISSUES regarding Arnold Schwarzenegger's Secret Baby Caper. Maria Shriver's embarrassing legacy of supporting men over women even as she holds her own annual women's empowerment conference. To be fair to Maria Shriver, perhaps if she had known about Arnold Schwarzenegger's affair and secret baby years ago, maybe she doesn't publicly support Barack Obama over Hillary Clinton when she herself had acknowledged that both candidates were terrific. Back when Arnold first ran for governor of California, one of his opponents was Arianna Huffington. So it comes as an interesting twist that twice now Maria Shriver has supported a male political candidate over an equally qualified female candidate that was also on the ballot. And yet, Maria Shriver runs an annual Women's conference. Labels: Maria Shriver's embarrassing legacy of supporting men over women even as she holds her own annual women's empowerment conference. Hillary Clinton deleted out of Bin Laden White House Situation room photo by Hasidic Newspaper. The irony of a Hasidic Newspaper deleting Hillary Clinton's image from the White House Bin Laden Situation Room photo is that were they to offer a retraction, the result would be the same. Labels: Hillary Clinton deleted out of Bin Laden White House Situation room photo by Hasidic Newspaper. Is West Coast Milk Safe to Drink? 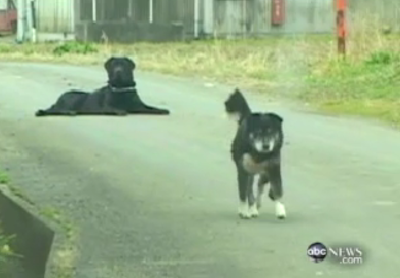 The Left Behind Dogs in Japan. Headlines never cease to amaze me for their inaccuracy when it comes to what the story is really about. 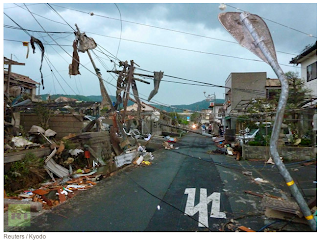 This story is not just about milk, it's about the aftermath of what has happened in Japan. On top of that, there a couple shots of left behind dogs that I can't get out of my mind. Perhaps because it is so opposite of practically every child in danger or dog in danger story where the dog or the child is taken away from their home by one of dozens of nefarious forces or situations. In this instance, the dogs are just, left behind. Incredibly, these dogs have become accidental radioactive test subjects, were they not to presumably die from starvation first. Three scenarios that come to mind. One, just ignore the dogs, as apparently has been done in some abandoned cities near the nuclear reactor sites in Japan. Two, supply the dogs with local food, leave them there, then periodically test them for radioactivity, or three, PICK THEM UP! Of the three, leaving the dogs behind and not feeding them seems the cruelest because it makes their lives less meaningful on a social and international level, and along with the radioactivity they are enduring that will probably affect their physical health, also harms the dogs psychologically. Labels: Is West Coast Milk Safe to Drink? 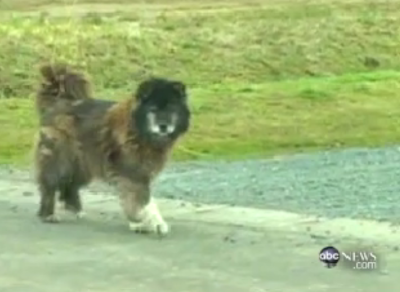 The Left Behind Dogs in Japan. Video of Police Car hitting a cyclist walking their bicycle. Wow, I'm guessing the bicyclist just seemed so confident the police car was going to stop. The cyclist is in serious condition. Labels: ideo of Police Car hitting a cyclist walking their bicycle. Nine Year old Shooting Victim was Aspiring Politician. This story about Christina Taylor Green from the AP via NPR was so heart wrenching on so many levels I could have never written it myself. Christina Taylor Green was the nine year old shot gun murder victim from the Tucson Arizona Congress on your Corner massacre. Christina was there because she wanted to meet Gabrielle Giffords, a passing of the torch from an adult female politician to a 9 year old fan, who by the way wanted to be the first female major league baseball player. Christina was also a 911 baby and I would have loved to have read about her successes as she became an adult, a happy offshoot from a terrible day in American History.